Customers of nine banks representing 80% of the Belgian market can now make use of Sixdots, a mobile wallet service that uses a combination of QR codes and a six-digit PIN to make payments in stores, online and between friends. The service is available for both iOS and Android and has been introduced by BNP Paribas Fortis, KBC, ING, Belfius, Fintro, Record Bank, Bpost bank, Hello Bank! and CBC in partnership with mobile network operator Proximus and payment processor Bancontact/Mister Cash. 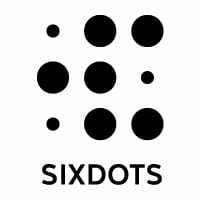 “The consumer begins by downloading the app, choosing their bank from the list and adding one bank card in a secure environment,” Sixdots says. “At this point, the user will also create the six-digit PIN code which gives the Sixdots app its name. This code must be entered to confirm all transactions and is used to protect sensitive information. “Once activation is complete, the user can pay a friend back for buying a sandwich, for example, simply by scanning the QR code on the friend’s telephone, or pay for an online purchase using the QR code on the computer screen. It is even possible to pay for an espresso at a local coffee bar by scanning the QR code on the ticket. “Simply enter six figures to confirm your transaction, it’s as simple as that. No card reader, no card and no long series of numbers. When you make in-app payments, the seller’s app will even detect the Sixdots app automatically on the customer’s smartphone, so that the customer can open the app directly to pay for their purchase. “Thanks to the partnership with Bancontact/Mister Cash, you can pay with Sixdots at any merchant who has activated the Bancontact/Mister Cash mobile service via their regular payment service provider,” Sixdots continues. “Over the next year, Sixdots will introduce new services for its users. Consumers will be able to add multiple bank cards, including credit cards. They will also be able to use Sixdots as a secure proof of identity and even link their Sixdots account to their digital banking applications.